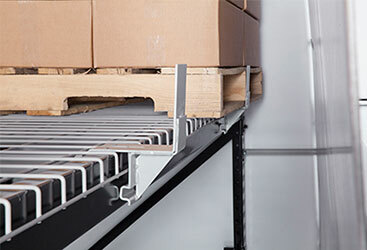 Pallet rack scuffs, scrapes and dents caused by the rigors of everyday warehouse activity and forklift impacts are inevitable but there are several things you can do to protect your rack systems. 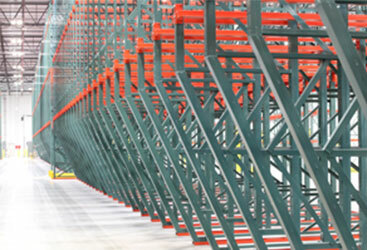 In addition to general safety training and maintenance procedures, Apex pallet rack safety accessories and design features help prevent damage, ensure usability and improve overall warehouse safety. Check out our extensive safety and damage protection options, then contact the Apex team for a custom safety solution that meets your facility and equipment needs. 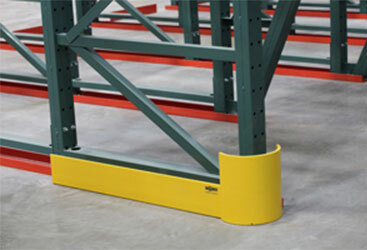 The first line of defense to protect your rack from unwanted forklift advances. 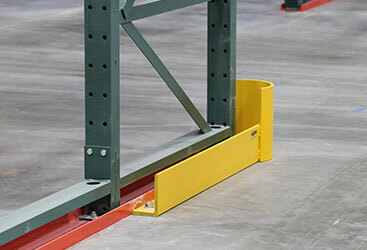 Rack safety built right into your pallet rack upright. They’re big, they’re bold and they’re here to protect those columns & secure warehouse efficiency. 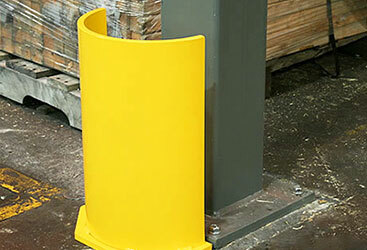 Rear-mounted stops prevent dangerous pallet overhang and maintain fire safety compliance for flue area. Sloped & offset designs provide larger turning radius and reduce potential truck/rack contact points. 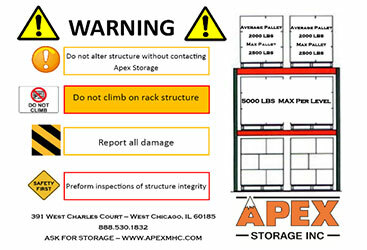 Rack systems require current capacity signs. Apex can help. 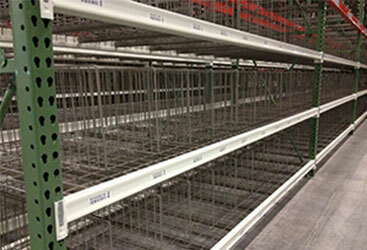 Easy, economical way to secure rack inventory and protect employees and equipment. 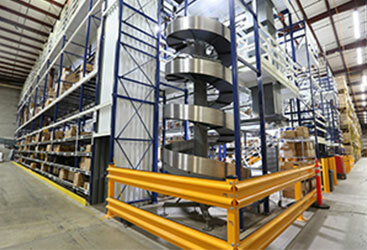 Design styles, patterns & functions abound for this multipurpose warehouse safety and efficiency tool. 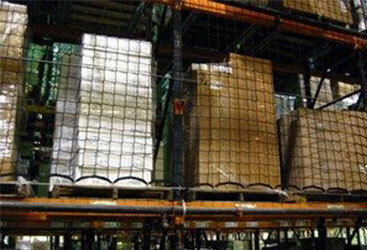 Traffic flow, pedestrian areas, equipment and storage rack are all safer with the right protection.